Notes From A Mobilized Marketer - Is Captain Kangaroo Still King? Parents say mobile education apps don’t provide value, but TV still does. So says a study from education-focused research firm The Joan Ganz Cooney Center. 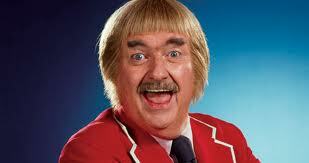 Since I don't have young kids, I need to ask - who is the modern-day Captain Kangaroo? For all of Amazon's knowledge of the user, is it not surprising that local offers delivered daily are generic? It has been five minutes since I've seen a tweet about the weather in NY for Super Bowl 48. C'mon, people. I need to stay informed. The Weather Channel is doing heavy promotion to try to get us to leave the Super Bowl telecast at halftime to watch its forecast for the second half. Really? A study says that looking at your smartphone at night can make you more tired the next day. We know this, but can't help ourselves. My Fitbit Force says I burned more calories in less than four hours of sleep after midnight than in 28 minutes on elliptical. Really? The size of the iPhone has always been ideal for me. Making it larger might bring others into fold, but send others like me away. Facebook is either going out of business over the next several years or it wins in mobile advertising. The latter is more likely. More and more, I'm hearing feature phones referred to as dumb phones. Keep that reference out of your marketing. Is engagement the metric that matters most with mobile? It’s extremely important but sales trump everything. My new Market Motive mobile certification students are from China, India, Canada and the U.S. It is representative of where mobile is today. BlackBerry landed a massive Pentagon order and its stock soared. What is this, 2005? Apple is no longer the consumers’ favorite tech brand, according to a Forrester study. It dropped to No. 5. Tagged with apps, apple, amazon, iphone. January 26, 2014 by Jeff Hasen.